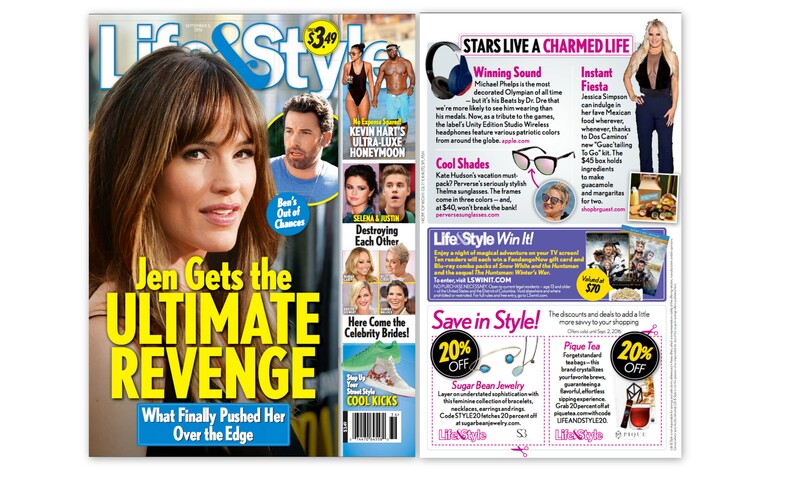 Congratulations to our Client Sugar Bean Jewelry for their feature in Life & Style Weekly! Sugar Bean Jewelry is sweet! Their collection has something for everyone. From everyday pieces to items with a little glitz, they have you covered. Sugar Bean Jewelry layers effortlessly with any modern jewelry ensemble. Meticulous attention to detail and quality makes this collection feminine and classic. Celebrities like Kim Kardashian, Jennifer Aniston and Cameron Diaz are personally requesting custom-made pieces from Sugar Bean, and now you can get the same sweet look of luxury at an affordable price! Check them out at sugarbeanjewelry.com!